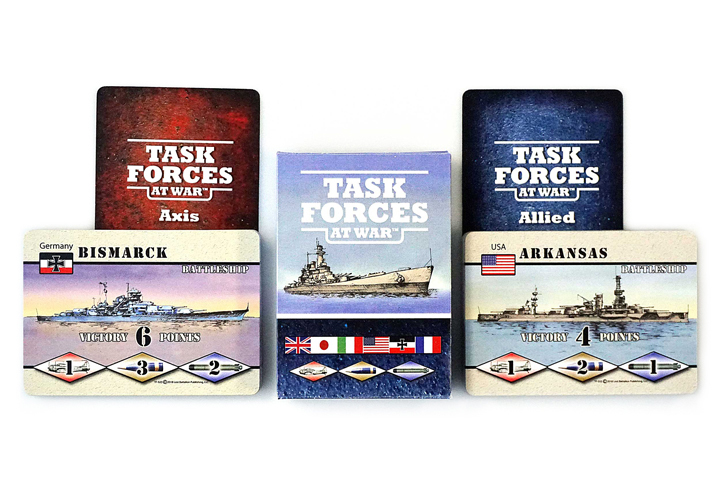 Task Forces at War™ is a diceless, two-player, introductory card game designed to be easy to learn and quick to play. 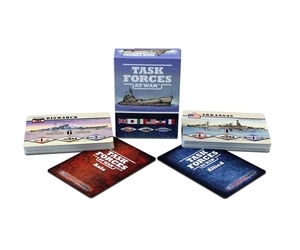 It is an ideal game for a parent to use to introduce children to the fascinating hobby of war games or to use to expose a non-gamer to the joys of historical gaming. The game is based on World War Two (1939-1945) naval combat, when fleets combined battleship firepower with bombing strikes from aircraft carriers. 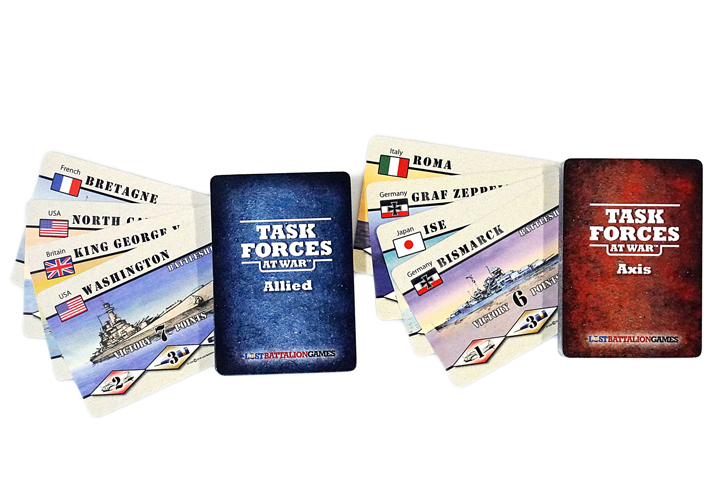 One player commands the Axis fleet, one player commands the Allied fleet and ships are sunk for victory points. Playing time is thirty minutes to one hour.